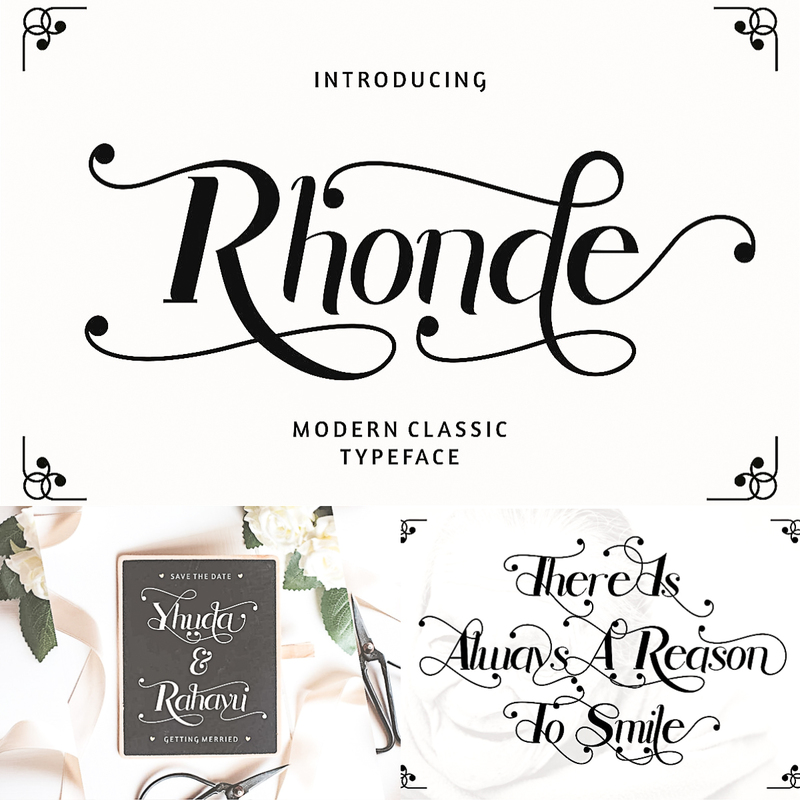 Rhonde is a modern classic typeface with large set of alternative uppercase and lowercase letters with swashes that can be combined to create unique and beautiful designs. This typeface is great for logos, tittle, headline, tagline, tshirt, handwritten quotes, product packaging, poster, merchandise, social media, labels, branding, greeting cards, etc. Tags: calligraphy, classic font, curly, cursive font, elegant font, invitation font, modern font, swash.